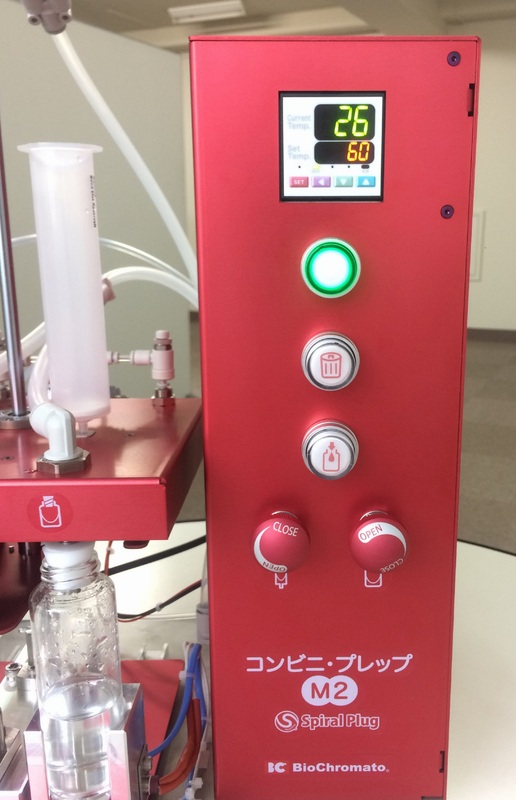 Conveni-Prep M2 | BioChromato, Inc.
the world-first evaporation method “VVC” (Vacuum Vortex Concentration). 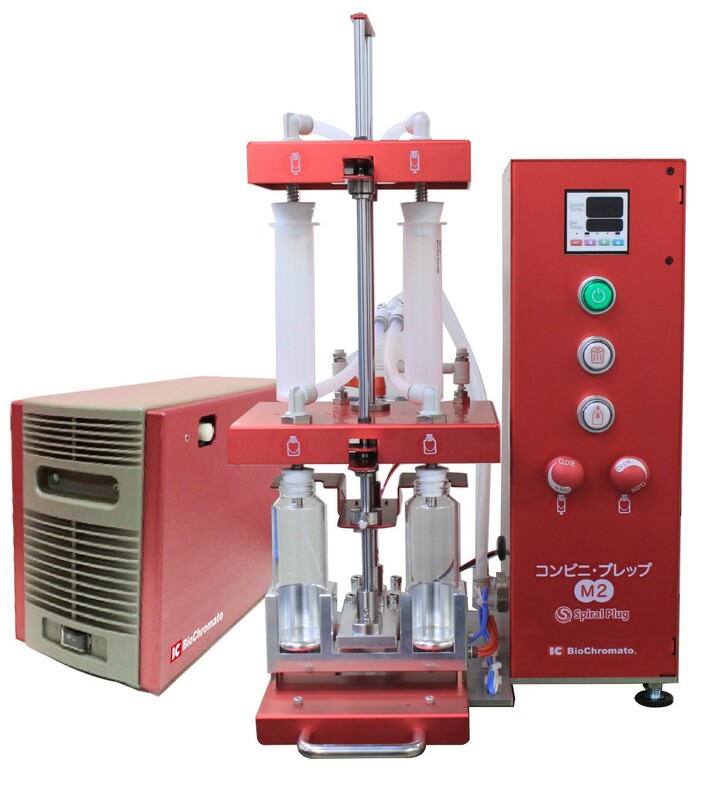 Easy fraction or purification works with the liquid discharging by a vacuum pump. to the ordinary nitrogen blow evaporator. One-push buttons for wasting and eluting. One valve each for stirring and concentrating samples. 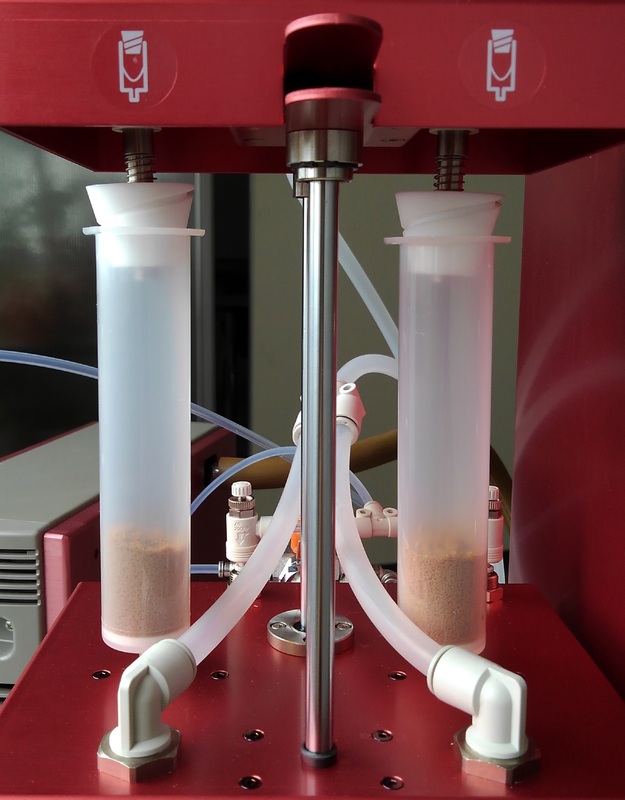 Since a 60ml reservoir can be used for the sample introduction, almost 50 ml of sample solution can be processed. 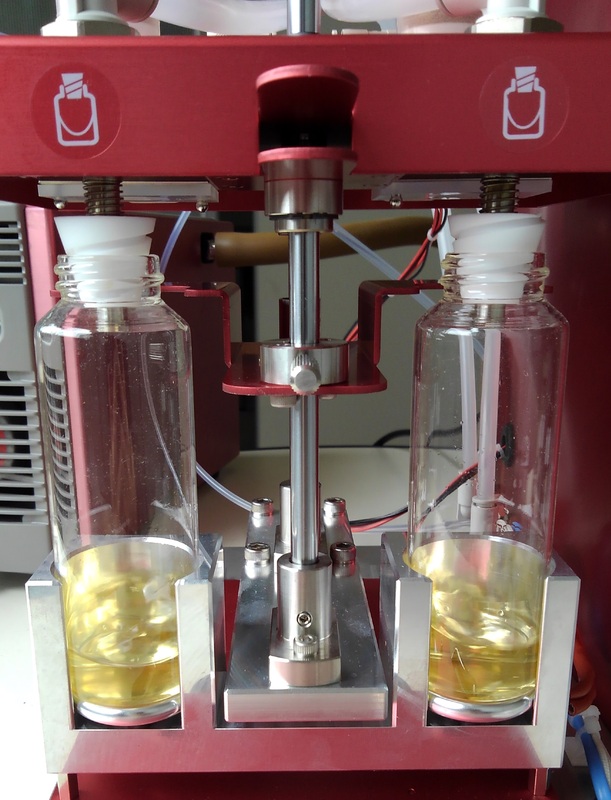 A filled syringe column can also be processed. The samples can be concentrated by VVC method after elution without sample transfer. 100mL or 50mL vials are compatible. The proprietary technology “Spiral Plug” enables effective evaporation by generating vortex in a container, increasing the surface area of a sample. Also, this principal can work with samples that form skin on surface or those with high viscosity.